Team 3 here we go! We are fortunate enough to be testing the crem de la crem. @LED_Seedz hooked us up fellas. I'm sure the man will be by to tell us what we're dealing with here. This evening (12/1/2017) I am starting the party. 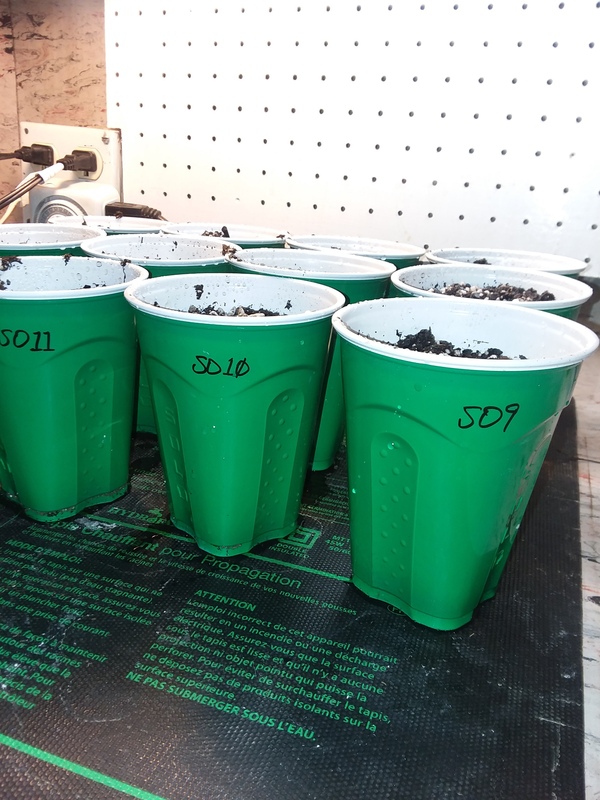 All 12 are going into solo cups of pre moistened and warmed Happy Frog and Perlite in a 70:30 ratio. Thanks again to @LED_Seedz for putting his hard work in our hands. Good luck to all the testers! Right behind you @Blowingupjake , many thanks @LED_Seedz for the opportunity to run a little more of your gear. So the dogs started barking new the postman was there. Yours had 12 mine was 13 so 13 are swimming then into a coco blend then into coco chips. Then the fun begins, Peace all OG. Best of luck to the three of you. Looking forward to the show! The mother of this hybrid was a clone only called Instant Cookies. The cross that made this up was Bodhi's Instant Karma X GSC Forum cut. I was one of the testers for this several years back when it was un named so I called it Instant Cookies which B gave me his blessing on. Instant Cookies alone is quite devastating, and produces quite the narcotic feeling. I'll get some pictures of her so you can see her up close in an forth coming edit. I crossed this to the F3 Starfighter Male I named Igor. I then grew out the F1's choose two parents and made f2's. 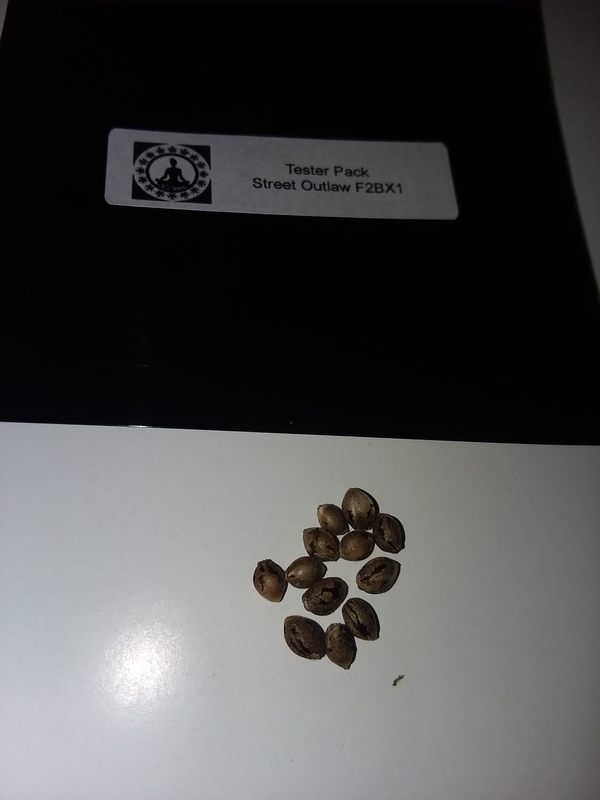 I grew these out and decided I wanted to see more elongations in the flowers, and the I cookies was really shining through in every pheno. I decided to to use my F4 Starfighter to hit my favorite pheno in the F2 gen and these are the result. 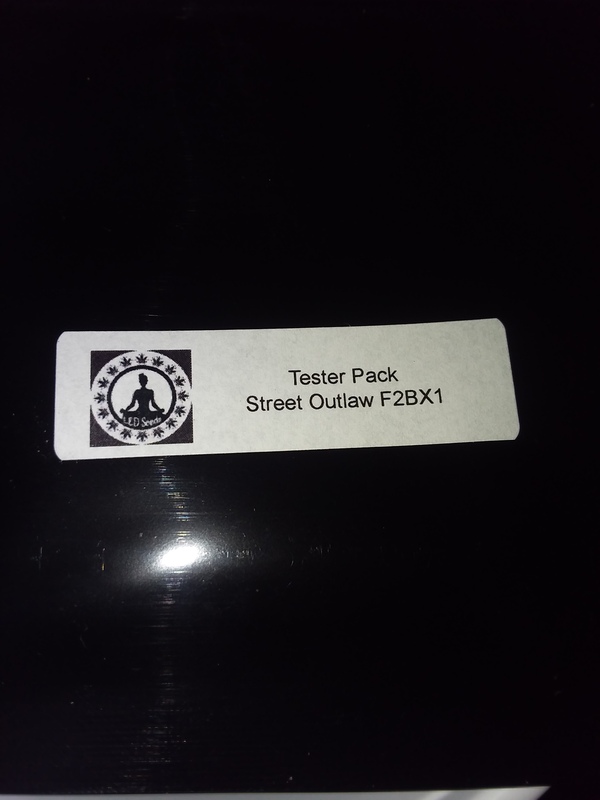 The F1 and2 gen are named "Street Outlaw"
We are going to see right here if I decide to move forward on this gen, or I just continue selection on the F2's and go to F3's as it is. I ended up killing all of the males in the F2 generation which forced this back cross. I may or may not release the rest of these. It's up to the testers here to see what they think and we'll move forward from there. Instant Cookies alone is quite devastating, and produces quite the narcotic feeling. Yes she is devastating, almost whited out a buddy of mine who smokes. But the flavors from this gal are gourmet, hard to explain all the smells and flavor. Should be something nice here in the F2BX1, 25 seeds are down. Is straight fire and I have a Christmas finisher looking rite as rain. Good luck fellas, Im here in the corner watching the show. Temps are a little cooler in the grow room, have a couple that are cracking at less than 24 hours. They are in a towel in a ziploc. Hoping to put some in solo's tomorrow. Peace OG. Dam i wanna try the product your talking about. 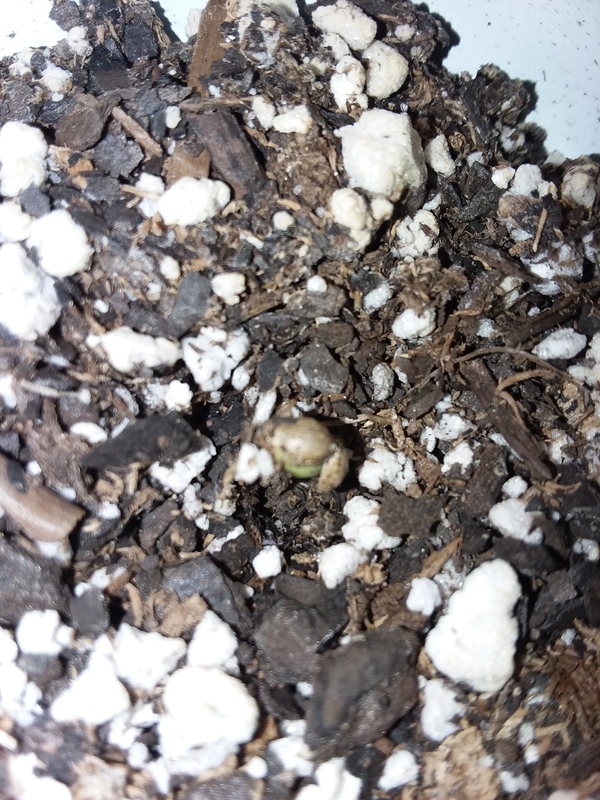 Alright checked on the seeds 10 of 13 are shooting tap roots have 3 taking their time. Will grab some pics in a bit. 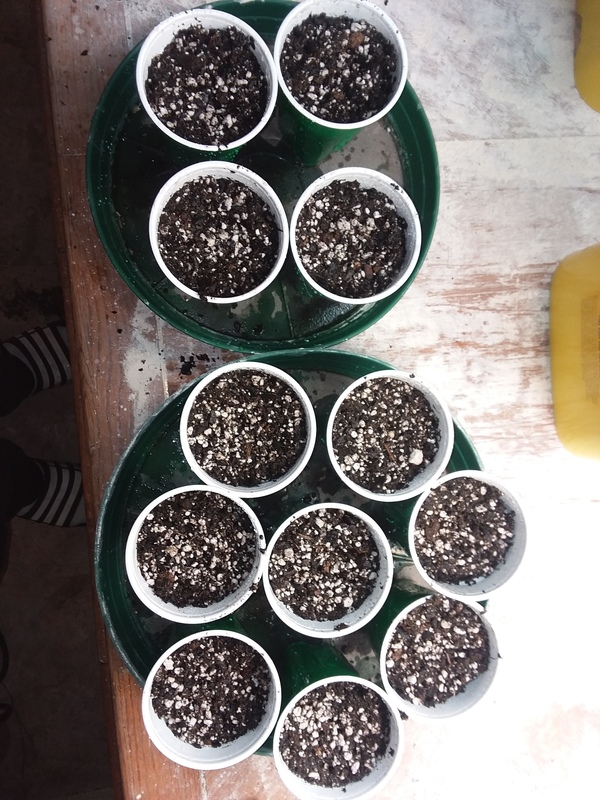 Time to get some plants above ground. Good luck team number three! I am super happy for you guys! WOOHOO! 10 of 13 getting ready for the show. Peace OG. Those are purple cups and not pink right? LMAO, does this mean you are babying these? So 10 open in less than 24 hrs then, that's actually quite good. Thats quite good for sure.. Yes they are Purple and these will get pampered. Yeah the other 3 seeds are looking swollen so hoping to see tales tomorrow. Hello all hope your gardens are well. Doing good here, had all 12 germ and are in solo's. And today we have a few(8) breaking soil, the others should not be far behind. Peace OG. 12/12 sounds good to me. Thank you for the update! I have no issue with you running with these guys however you have the F2 hybrid and these guys are running the F2BX1 that I went back to the Starfighter with. It will give us a look at the changes made and better help me decide if I just go to F3 or work the BX line but these are different. Should I just post in my Journal, or just state that it’s F2 when I post pics in this thread?